Ali Carter and Ross Muir have both made 147 breaks within the space of ten minutes, in an incredible passage of play at qualifying for the F66.com German Masters in Barnsley. 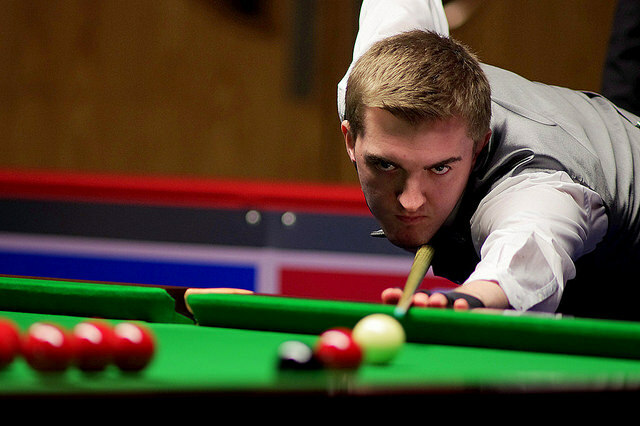 The four-time ranking event winner Carter was in first for his maximum, which he made to go 4-0 up on Wang Yuchen. It’s a second career 147 for the Captain, whose previous one came at the 2008 World Championship against Peter Ebdon in the last eight. Scotland’s Muir then showed steely composure to follow up with his maiden 147 break just minutes later. The world number 69 from Edinburgh achieved snooker’s paragon of perfection to go 3-0 ahead against Brazil’s Itaro Santos. Carter and Muir will have to settle for a share of the current qualifying 147 pot, which stands at £1,000. The rolling prize was emptied in September by Shaun Murphy, who picked up £11,000 for his maximum at European Masters qualifying in Preston. It’s the 125th and 126th maximums in snooker history and the tally for the 2016/17 season now stands at eight.